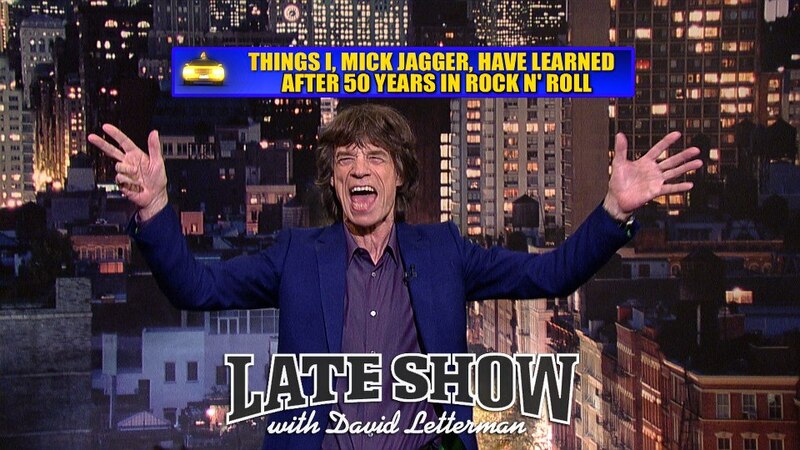 Mick Jagger made a special guest appearance on The Late Show with David Letterman Tuesday night. Keith Richards was originally billed to join Jagger for the visit, but the singer arrived at the show on his own. 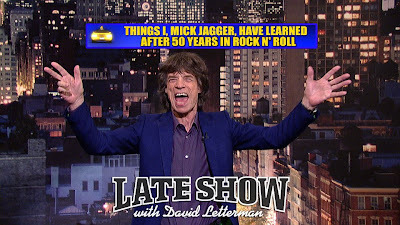 Mick walked onto the Ed Sullivan Theater stage to wild applause while Paul Shaffer and band played the Stones classic, “It’s Only Rock ‘N Roll (But I Like It)”. The Letterman visit was to promote the band’s pay-per-view event this Saturday, as the Stones play their final 50 & Counting concert at the Prudential Center in Newark, NJ with special guests Bruce Springsteen, Lady Gaga and the Black Keys.